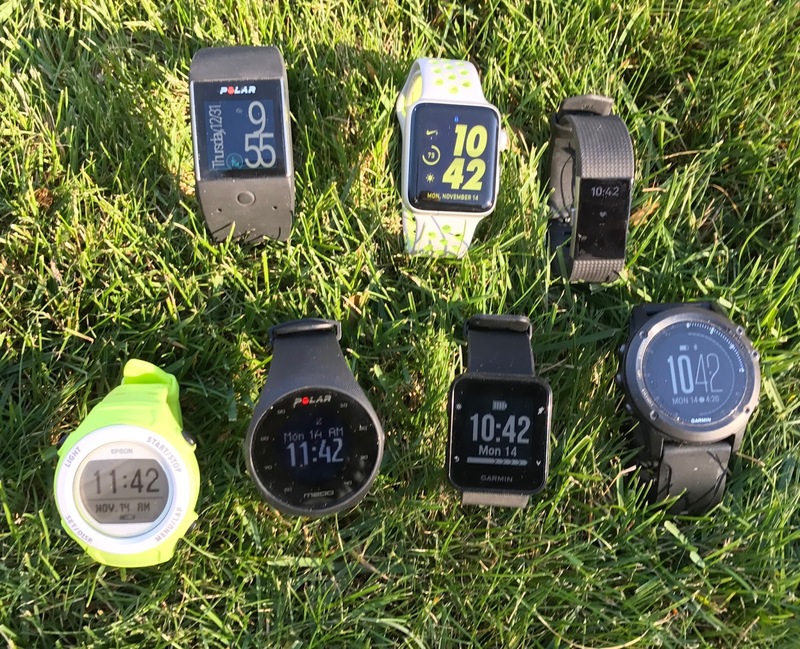 2016 had me testing dozens of gadgets: GPS watches, activity bands, innovative run form coaching sensors and apps, and music earphones as part of assignments as the wearable tech and music columnist for Competitor Magazine. Many fine and innovative products came to market. My picks below represent a variety of price points and highlights. You can shop for many of these products at the ads and links at the end of the article. Fitbit Charge 2 ($149.95; $179.95 Special Edition) Now on Sale See Pricing Below! The Charge 1 was the #1 selling activity band and the Charge 2 is sure to keep that title! With a 4X bigger screen and the same price the device and platform adds a host of cardiac, sleep, and activity features all super easy to understand as well as far more complete phone notifications. It now has automatic activity detection, VO2 Max estimate, breathing exercises, and a basic (very basic) phone GPS connected run mode. 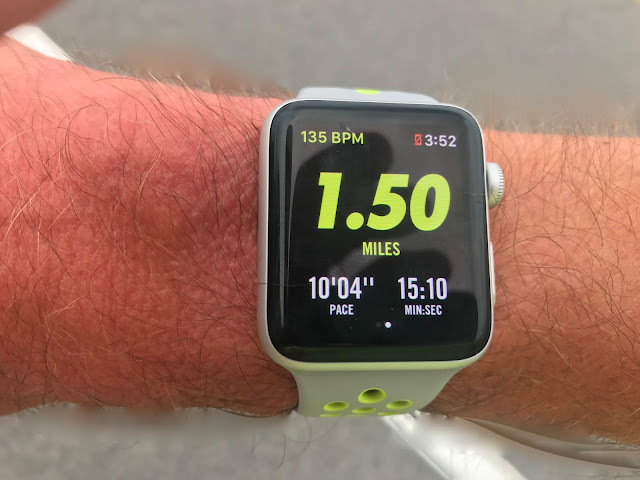 As a run watch, most runners will likely supplement with a GPS watch or another app as it needs to be phone connected and there is currently no pause or auto pause function. As a cardiac and activity companion backed by the excellent Fitbit app it is second to none. I keep mine on 24/7 on my other wrist to keep track of my resting heart rate, sleep patterns, and VO2 Max. Oh, and it can be styled with numerous replaceable fashion bands and even comes in a Special Edition, including a lavender band gold accent version. Don't let its low price fool you that the SF-110 is a toy or low quality. The SF-110 is a solid, rugged, small form factor watch. Its bigger sibling, the SF-810, is Meb K's training tool of choice. It includes a full compliment of advanced features including pace alerts, auto laps and auto pause, pairs to an Epson chest HR strap, highly configurable screens, bluetooth synching and configuring with its app, step counting, along with transfer to Strava and other run apps. It is easily configurable via its app, but is almost impossibly difficult to configure directly on the watch. It only lacks an interval mode and phone notifications. It's screen is decent but at this price don't expect high resolution. The GPS is highly accurate and battery life is 10 hours with GPS and 7 days in activity tracking mode. Epson is a leading manufacturer of energy efficient GPS chips for mobile phones and health sensors and uses its own sensors in its watches leading to a well integrated, accurate, and efficient product. Epson has the top selling GPS run watch line in Japan. The new waterproof M200 breaks a new price barrier for a GPS watch with wrist heart rate, 24/7 activity and sleep tracking, and phone notifications and is one of the lightest, full featured watches on the market. The only catch is that while the innards are rock solid, the watch materials are not the most polished and substantial (durability concerns?) and the screen while visible in sunlight is not as bright as higher end watches. Use any of over a hundred different sports profiles.You also get Polar's excellent Polar Flow app and website which includes training plans, motivational Training Benefit analysis and a complete dashboard for sleep, activity, and training. 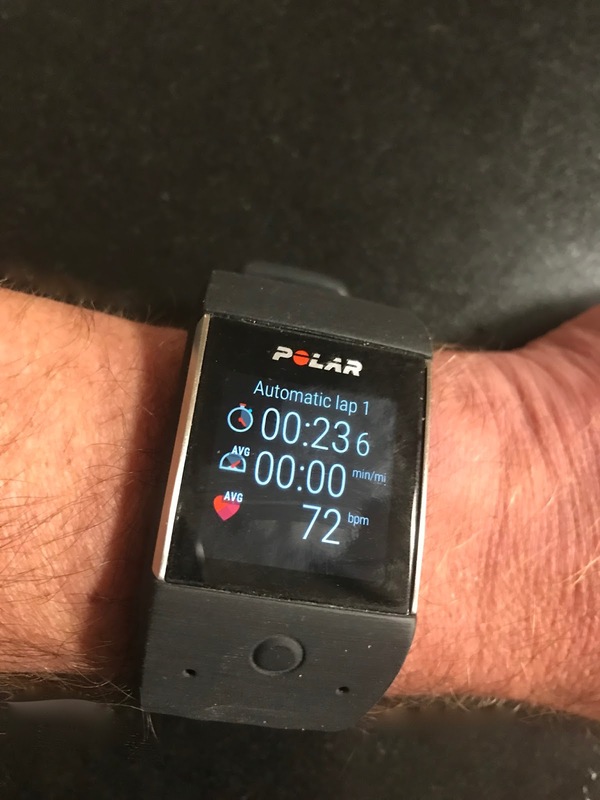 Polar was the original fitness heart rate monitoring company and their experience shows. Battery life is 6 days including an hour a day of training. The small, thin, light (37g), button operated Forerunner 35 has big bold digits and the despite its small size the most legible screen in any light of any GPS watch I tested this year. It is a great choice for small wrists. The Elevate wrist HR is now rock solid as on all Garmin watches. 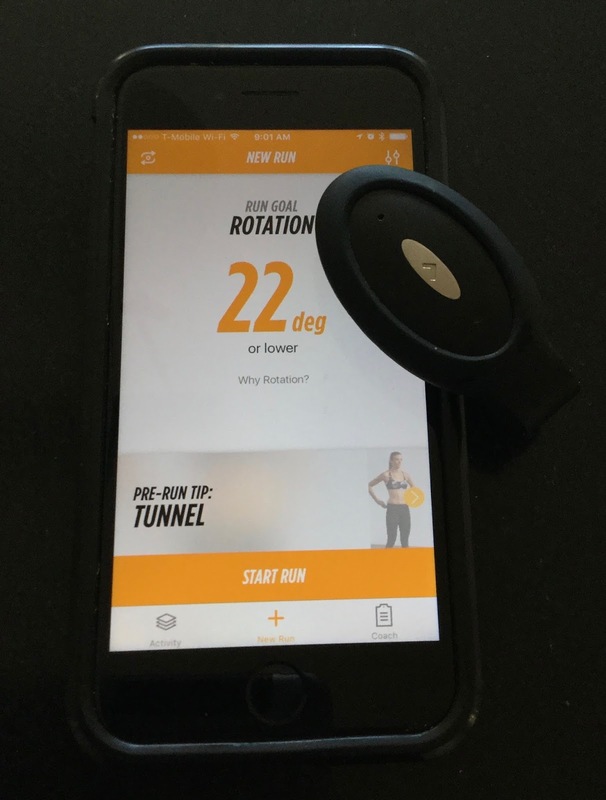 A run focused "smarter watch" it includes interval training modes, auto laps and pauses, time distance alerts and Virtual Pacer. Smart watch features include 24/7 sleep and activity tracking, music control, find my phone, and smart notifications from your phone. It comes in a wide array of bold colors. Garmin Fenix 3 HR (Originally $599 and up) Now On Sale see below! This big rugged do everything watch with its sapphire crystal is my favorite GPS watch of 2016. No touch screens here just sold buttons and largely monochrome high visible screens with appropriate color highlighting. With its barometric altimeter the Fenix is great for any sport or mountain activity from tri and cycling (many different kinds external sensors connect) a full swim strokes and distance mode, through its barometric altimeter more accurate trail running and biking vertical, tracking ski runs and vertical descent and even golf hole and shot metrics for tens of thousands of courses. Compass and altimeter views along with route navigation features are included. Connect IQ apps can be loaded for more specialized data views and new watch faces. It has the largely accurate Elevate wrist heart rate sensing of other 2016 Garmin. The GPS module is similar to other Garmin but has a more substantial antenna. With the Fenix you get additional Running Dynamics, VO2 Max and Lactate Threshold estimates, and Recovery features not found in the Forerunner 35. 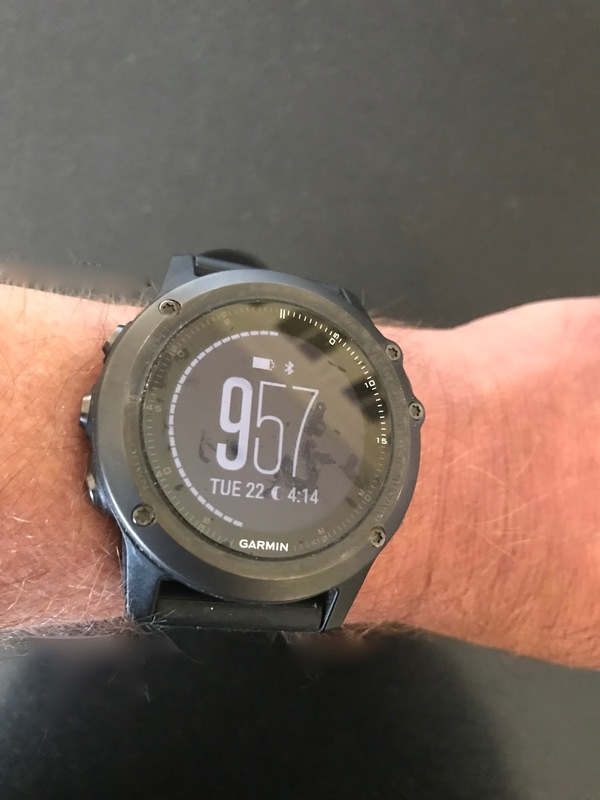 Battery life is outstanding according to Garmin: up to 40 hours in UltraTrac mode; up to 16 hours in GPS training mode; up to 2 weeks in smartwatch mode (with 24/7 HR monitoring). My only knock this is one heavy watch at 86 g, more than double the weight of the Forerunner 35 and it is not always the most comfortable on the wrist given the big, somewhat sharp buttons. The new Apple Watch Series 2 now includes GPS so it can track runs without a phone. See the overview about the Apple Watch Nike+ I wrote for Competitor here. As a smartwatch in everyday use the Apple Watch is outstanding and far faster and more capable than version one. Answer and make calls from your wrist with phone tucked away, crystal clear colorful screen, rich notifications dictate texts to Siri, with thousands of neat apps available. The look is all Nike with special watch faces and bands but any Apple Watch app can be loaded on the Nike edition, including other soon to come GPS run apps. Truly it is a fabulous useful wrist top companion as much as it is currently an only OK run watch with the existing Nike+ app. The Nike+ watch run app is still pretty basic with only Pace, Time, Distance, and heart rate displayed. It does call out your average pace over its built in! speaker every mile. So, there is no average pace currently displayed and current heart rate is the only available metric which can't be rotated into view as the center super visible in any light metric. The Nike+ watch app, Nike+ Run Club, provides plenty of motivation and coaching and even clues you in to future weather when you schedule a run time. With time, Nike and others will improve their run apps for the watch. The Watch OS provides many ways for the user and app developers to customize watch faces and functionality. Other run GPS apps for the Apple Watch can be expected. 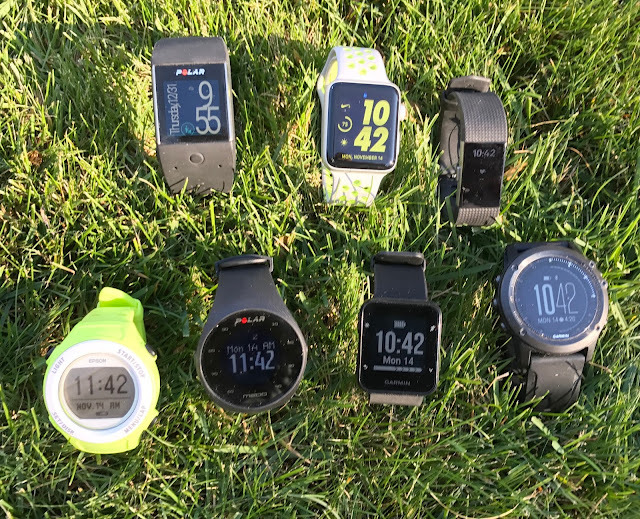 The dedicated watch operating systems such as those for Garmin and Suunto will have increasing difficulty competing with Apple and Android based watches. One place those other watch OS can compete with is battery life. I get between 5-6 hours of running time in GPS plus HR mode vs the double digits for the Garmins and Suunto. All day use has been better than Apple's spec of 18 hours as I have gotten more than 26 hours of battery life including over 2 hours of running on a single charge. It's incredibly easy to swap bands. I got a black Nomad band for more "formal" wear. The M600 is Polar's first wrist heart rate GPS watch and first color touch screen watch as well. It is fairly priced. 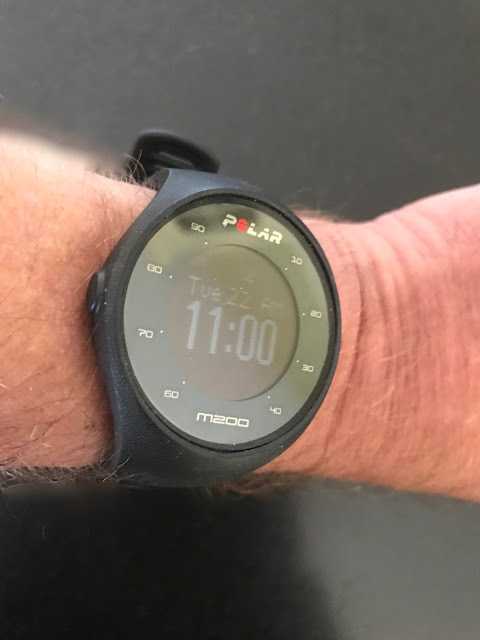 It is based on Android Wear and as such is a great all day companion with thousands of available apps and, thanks to Polar's app and many sports modes, it also a fine training companion. There are few if any compromises beyond battery life when compared to a dedicated Polar run watch. If you have an iPhone, it provides smart notifications and features analogous to a "smarter" watch such as the Garmins but no access to the thousands of Android Wear apps, and strangely also no access to the phone free built in music player. The M600 benefits fully from Polar's excellent Polar Flow training platform app and web site. While not the super bright screen of the Apple Watch the Polar's is adequate and its current GPS app is superior to the Nike+ watch app in its greater variety of available data fields on multiple screens. The Polar beats the Apple Watch in GPS plus HR run time with a spec 8 hours of battery and in all day Android phone connected battery life at 48 hours but comes in behind the Apple Watch in battery life when connected to an iPhone. Of the couple dozen or more earphones I have tested the SoundSport's have the richest, fullest sound and are the most comfortable in ear. As I wear glasses, over the ear phones are often not comfortable. 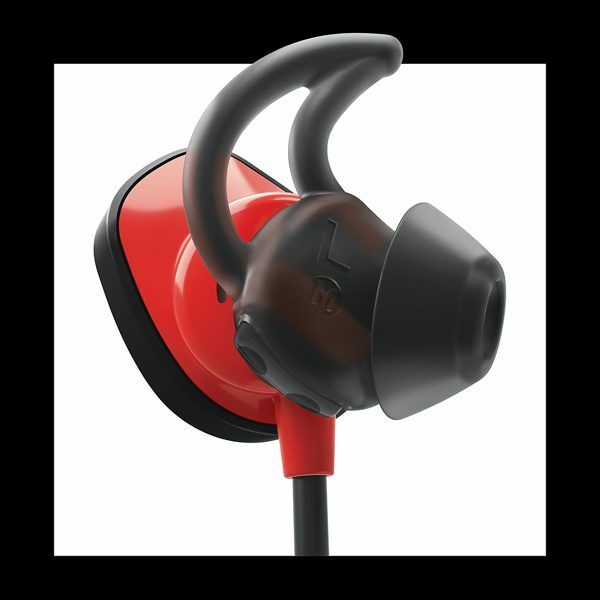 I prefer the in ear style of the SoundSport. They stay in on the run with only very occasional slippage and adjustment. The Bose sound is truly more like a set of fine speakers than earphones, quite unique in that respect. The in ear heart rate of the Pulse version is as accurate as any ear, decent with occasional spikes. 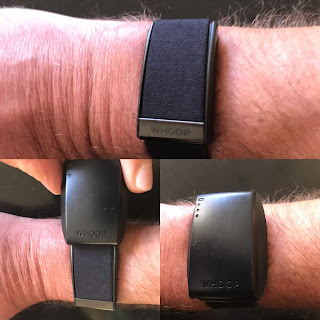 Whoop is the most ingenious, useful and deeply scientifically grounded performance wearable I have tested this year. A very slim heart rate and sleep sensing band monitors your heart rate at an amazing 100 times per seconds detecting at your deepest sleep moment your Heart Rate Variability (HRV), scientifically proven to be one of the best measures of true recovery from training and stress and strains of daily life. Until now HRV has been very difficult to measure without sophisticated equipment or time consuming daily tests. Extensively used and tested in the lab and by pro and college teams over the last few years, it is now available to the public. 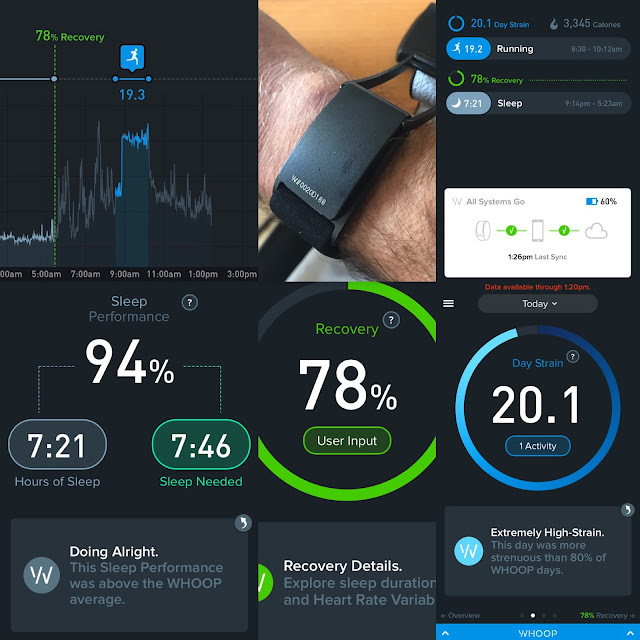 Whoop combines HRV and resting heart data with your prior day's activities' heart rate, sleep time and quality to give you a recovery score at wake up, cluing you in to how ready or not you are to follow, for example, a "planned" workout. During the day the band measures heart rate data from workouts and other stresses of life. No phone is required to record and there is no screen on the device. As data accumulates during the day, the band reports data back to the app generating an evolving Strain score influencing how much sleep you should shoot for to: Peak, Perform, or Just Get By that night. At sleep wake up and after workouts ( there is a phone based GPS run tracker built into the app) you can also optionally answer more subjective questions such as did you have screen time, caffeine and alcohol consumption, did you sleep alone or not! are you rested or not, how sore you are, were you able to complete a workout without stopping, etc...All of this data helps fine tune the algorithms for recovery status and sleep goals. Not just for sport, Whoop can help those in high stress occupations surgeons, traders, etc... come to mind be more aware and improve on daily status for "performance". The hardware is equally ingenious. The band has a 4 day battery life on its own. The USB charger is actually also a battery pack and can be slipped over the unit to charge on the go. Essentially never a worry about the battery dying or having to take Whoop off. What I have I found to date? I tend to recover very well and get adequate sleep but am, due to soreness and inefficiencies from form issues, likely not running hard or far enough day to day. Clearly on those sore but well recovered otherwise some hard cross training is in order! The Whoop Strap 2.0 is a great but pricey gift idea for the high performance athlete and those who train hard and work hard but need better grounding and advice on recovery and sleep. That would pretty much be any athlete! I have had extensive "quality time" with the effective Lumo Run sensor and app. See my full review here. It is a small sensor that clips to the back of your shorts recording and live audio coaching (optional) the runner on mid body form, a key area for running efficiency and injury prevention. It is simple and easy to use with actionable in run tips based on your live data and a run goal for a single chosen or system recommended metric followed up by post run exercises focused on problem areas. You can also chose to have it give you feedback on any or all metrics at chosen intervals or just use without a phone with you and see the data after. The app is beautifully designed and includes videos of the pre run tips you will hear on the run to hit reasonable goals and for after, exercises to help you further improve on those goals. Shop for these Gifts below. Sales through these links help support Road Trail Run. Save $150 on Fenix 3 HR. Other Garmins including 235 on Sale Too! Awesome reviews. Are you still using the Whoop? Any other details or thoughts on it? I am intrigued, but not an elite athlete (btw, have the lumo, apple watch and bose headphones and your thoughts are spot on I think). Thanks! 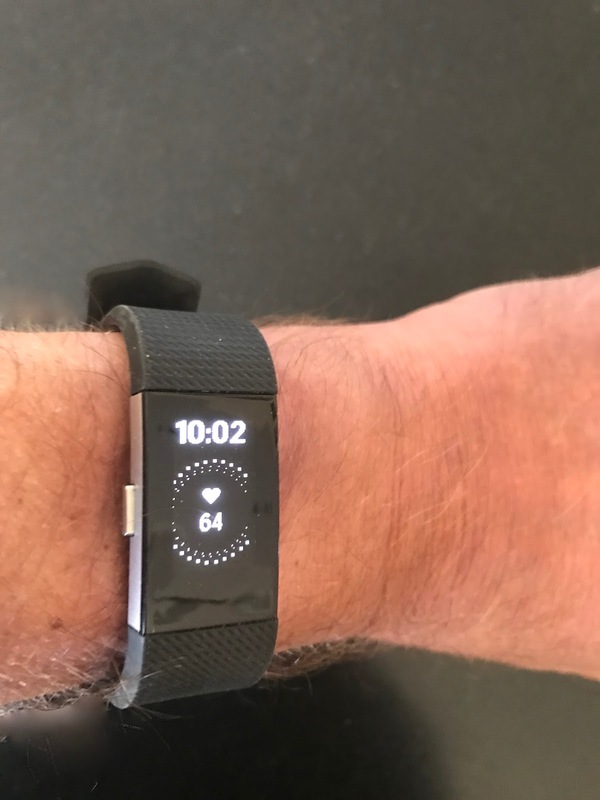 Regarding the WHOOP write up, it's Heart Rate Variability (HRV), not VHR. Thanks for heads up Steve! Review New Balance Fresh Foam Zante v3: 3Peat?